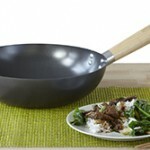 Imusa 14″ wok with side metal handle brings the Asian culinary art into your kitchen. 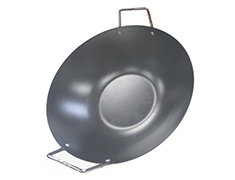 The classic, flat bottomed wok is made from carbon steel and designed to exploit heat on a gas or electric stove for quick and healthy cooking. 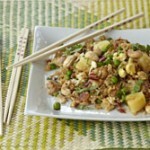 Prepare delicious stir fry meat, fish, vegetables, and poultry over high heat with minimum oil and a lot of flavor. BEFORE USING: REMOVE ALL LABELS. WASH PRODUCT AND DRY COMPLETELY. 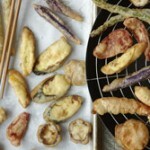 General Recommendations: After cooking do not leave the product on heat without food in it. Set the size of the flame so that it is right for the bottom of the wok. Do not overheat and do not set the flame so it comes up the sidewalls. Do not store food inside wok. 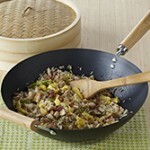 In The Kitchen: Use your wok to stir-fry with less oil. Simply heat the oil; add any favorite combination of fresh vegetables, tofu, meat, seafood, or poultry; then keep things moving with a wooden utensil. 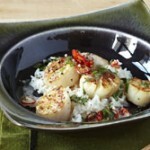 Use nylon, plastic, or wooden utensils to avoid damaging the nonstick surface of the wok. Avoid utensils with sharp edges and do not cut food inside the wok. 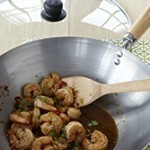 Never place the wok when it is hot on top of a surface without protection. 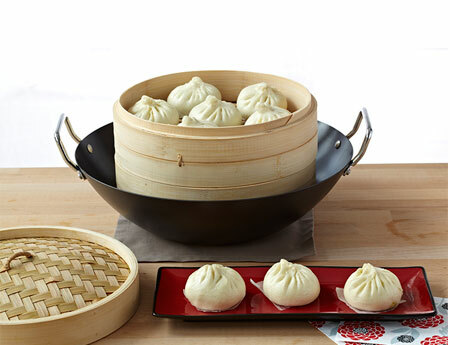 Always use a silicone mat, wooden board, or trivet.